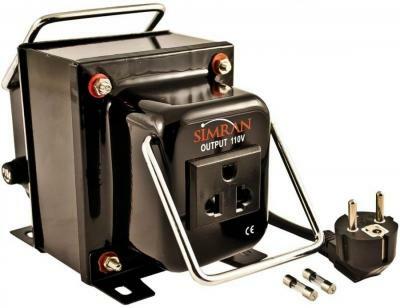 Input 110-220 Volt AC, Output 110-220 Volt AC, 100 WATTS, Standard type Step up & down transformer can be used anywhere in the world. 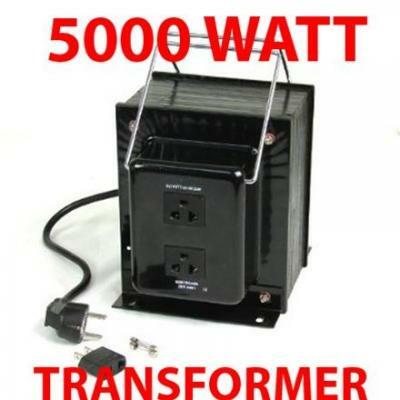 This is a standard type transformer that is useful at any place and at any time. It is built in with 2 round pins shockproof sockets and a spare flat pin. 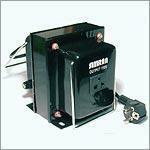 A built in fuse has been provided along with an auto surge controller. These are power transformers used to run electrical appliances when they are taken from one country to another having different power wattage. It comes with an industrial cord and a durable design for continuous usage. 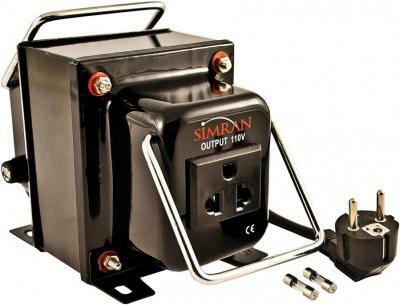 This Sam Stores appliance has a unit weight of around 3lbs and has a capacity of 100 watts. 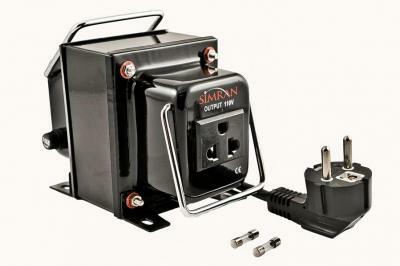 Input 110-220 Volt AC, Output 110-220 Volt AC, 100 WATTS, Standard type Step up & down transformer can be used anywhere in the world, Outlet on Front Panel Grounded Plug on Cord, Built in Fuse protection, auto surge controller. 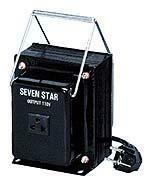 Built with 2 Round pins ground shockproof sockets and spare Flat pin with earth provided. Built in fuse. 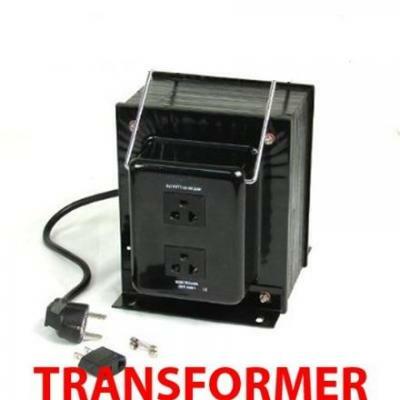 Power Transformers are used when an electrical device or appliance is taken from one country to another country with different power line voltage; they are designed with Heavy Duty voltage transformers for Continuous thoroughly inspected mechanically and electrically to assure a quality product. Ideal for use with computers, Television, Kitchen appliances, Office machines & equipment Durable for stainless steel chassis, Industrial type cord, ventilated design for continuous use, Carrying Handle, Extra fuses.